This week, Amy challenges us to share our celebration photos. As a traveler, I’ve been to a few places that feature one celebration or another, even if it’s just the local residents celebrating the arrival of the cruise ship. Amy shares some of her travel celebration thoughts here. Be sure to stop by there and check out her photos of beautifully costumed Peruvians. My take on celebrations, since this is the holiday season, not only for Christians but for many other religions as well, will focus on several of the holiday lights displays I’ve had the pleasure to visit and photograph over the last few years. 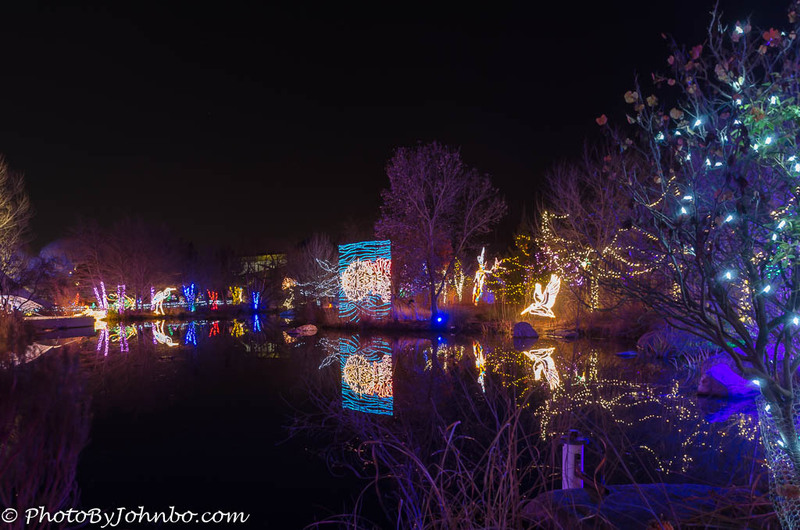 The opening image features the light display at Albuquerque’s River of Lights a couple of years back. 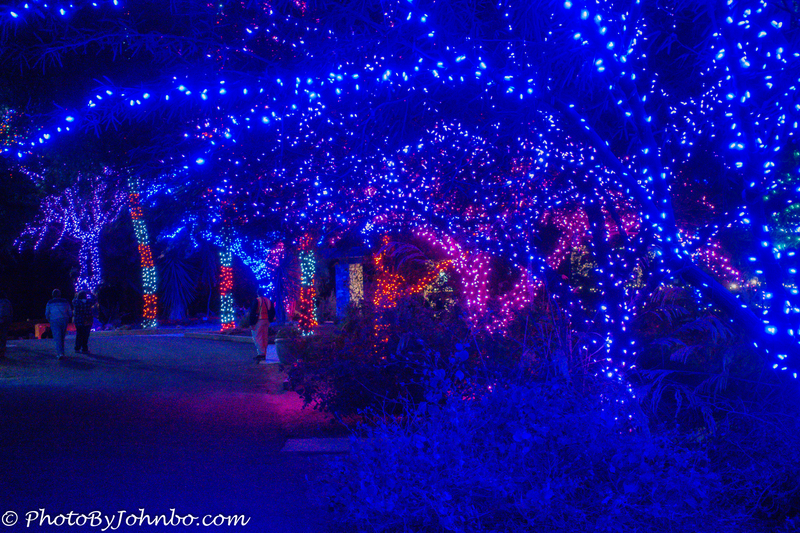 My most recent visit to a holiday celebration of lights is to the Phoenix Zoo where their annual evening Zoolights presentation draws thousands of visitors each year. 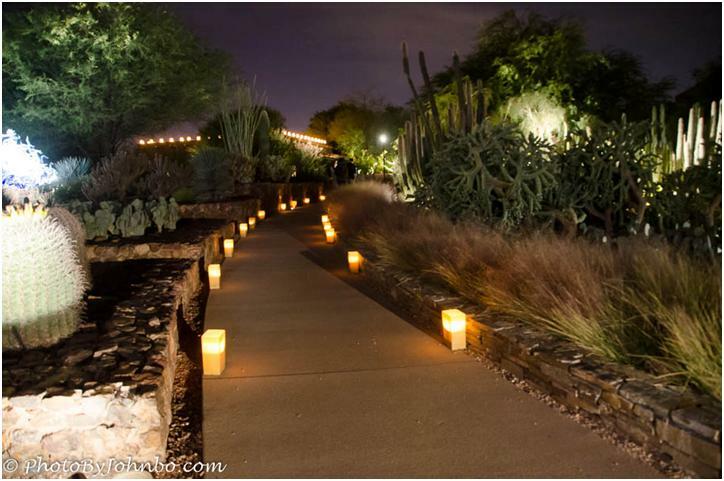 Only a short distance from the Phoenix Zoo, the Phoenix Desert Botanical Gardens has their own Latin flavor celebration, Los Noches De Las Luminarias. Loosely translated, “The Nights of the Lanterns.” Luminarias are traditionally paper bags weighted down with sand and lit with a single votive candle. Luminarias are then placed along sidewalks, driveways, or other walkways. Of course, it doesn’t take long on the Internet to find disagreements about anything. In New Mexico, a Luminaria is a small bonfire. The “candle in a bag” is defined as “farolito (little lantern)… but I digress. The year we visited Los Noches at the Botanical Garden, there was also a display of glass sculptures by the noted artist, Chihuly. Of course, businesses go all out for their holiday displays. One of my favorites is a bank in Fargo, North Dakota. 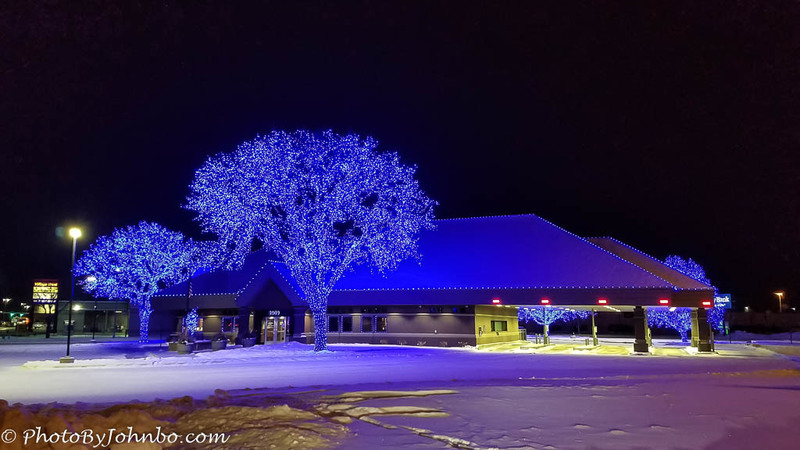 They don’t need an excuse to light up their trees in blue, and the lights are especially attractive after a fresh snowfall as all the blue tree lights reflect off the snow. 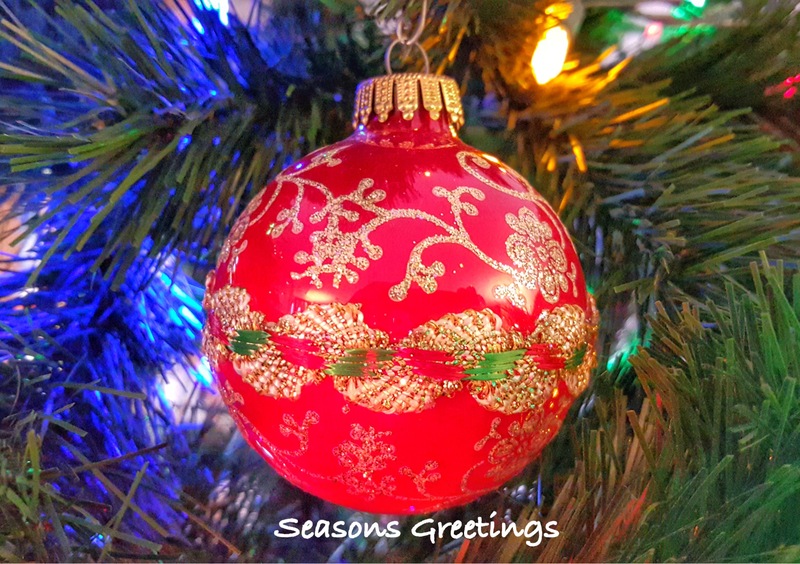 And with that, I will close out this week’s Lens-Artists Photo Challenge with a wish for you and your family to have a great new year and for those who celebrate the Christian holiday, Merry Christmas! I miss all the lights of Albuquerque. I used to think it was so cool that a lot of buildings would line their roofs as well. Nice photos, John. Thanks. Fargo has a neat lights display in Lindenwood Park, but unfortunately, I haven’t been there since rekindling my photography. My wife and I will be in Albuquerque for Christmas this year. Looking forward to it. Beautiful Christmas light celebration series! Love the trees in blue especially. Thank you so much for sharing with us, John! Thanks! Great idea for challenge.